Welcome to LotsOMobs. This is a mod that will give your game much more life! Together with a ton of new mobs come matching items, blocks, biomes, dimensions, weapons, tools and much much more! So scroll down and see the epicness! For a detailed list: Go to www.larsmods.com! A way to travel back in time and live together with dinosaurs! And a lot of sounds, effects and cool little items to make the game feel more alive! I hope you enjoy this mod just as much as i enjoy making it! 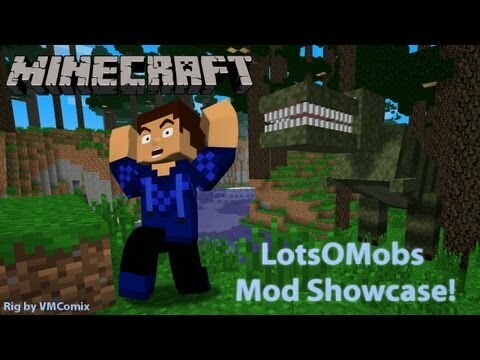 There will be many more Mobs in the future so if you want to be up to date please favorite/subscribe. And if you want me to be really happy please leave a diamond!! Credit Thanks to Swipeshot for the voices of the different humans and Cyentw for the skin. 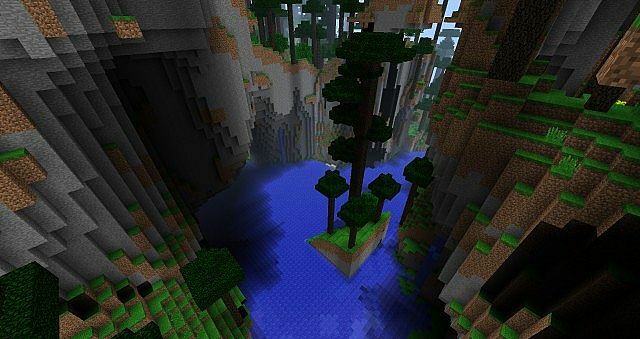 Today I ported the 1.8 version to 1.9. I will continue work on this now, and the 1.8 version has been abandoned. Remember to always use the core module. Super cool! Please update to 1.12 though! then at least 1.9.4 please???? 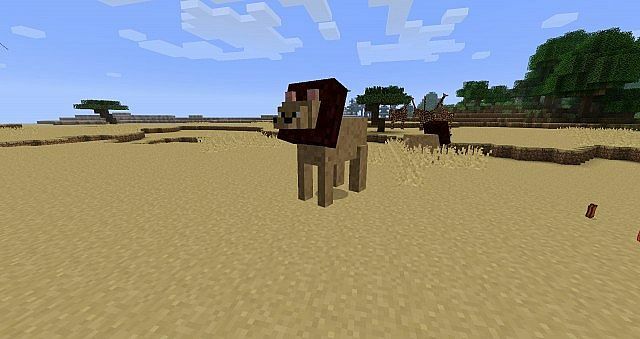 Love it, less buggier then Mo' Creatures when it comes to combining it with other mods that include mobs. Great job! I'd much rather use mo' creatures. Anyone know how to install this on a mac? I'm really confused. 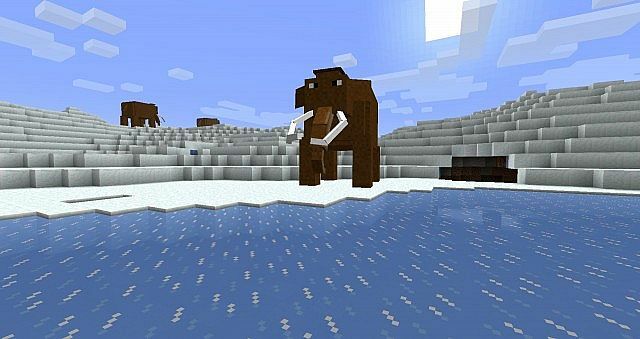 Hey why isn't the ice age dimension have a crafting recipe and if there is 1 which version on 1.7.10? The animals move, extremely, extremely slowly in this mod. They only move foreward one pixel at a time unless pushed and they never fight back or run when attacked not even bears, they just stay stuck in one spot. I uninstalled it because frozen animals just looks silly. 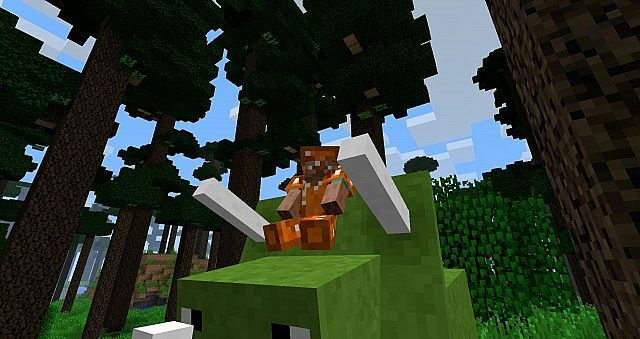 I'm not sure if you're still working on the 1.7.10 version but I get the same bug in this version also - the dinosaurs just twirl around on the spot, they never chase you even the ones I presume are supposed to be aggressive like T-Rex. Also when you try to ride a camel they are literally as slow as a snail! Which is a shame, since I love that you made a two-hump camel. exactly!! it happens to me too! I have a question. I am using Minecraft 1.7.10. I am not switching to 1.8 because I like the tornado mod and that one is not. 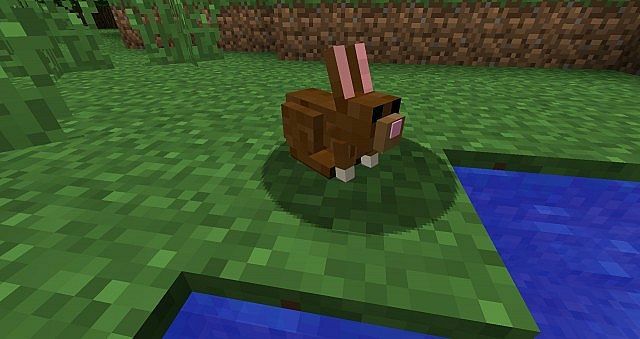 So, what I'm aiming to do is to use Mob Properties to make the bunny occasionally be evil and cause damage to the player (after all, it does chase the player down but is harmless). Is there any special NBT settings or any settings I can use with Mob Properties to do this? why no spawn eggs in the latest verson? You need the core module for arctic to work. 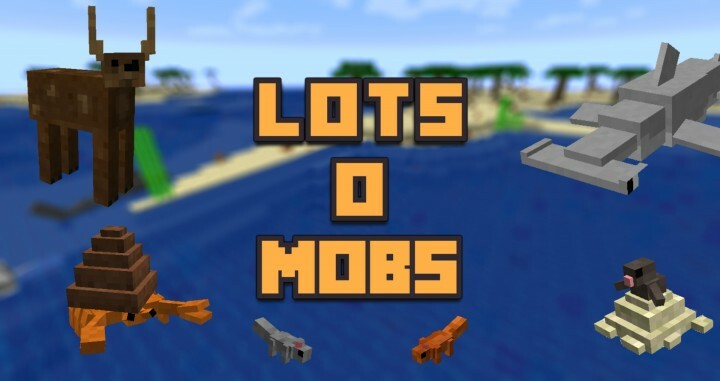 will this mods mobs spawn in BOP biomes? Hey I think this Mod is really awesome but im having issues w/ the part of it that adds in The jungles and Swamp animals is that just because its not ready yet? Also are the extra dimesions in the modualar version? I go to download the mod, and it comes up as an unsafe site? 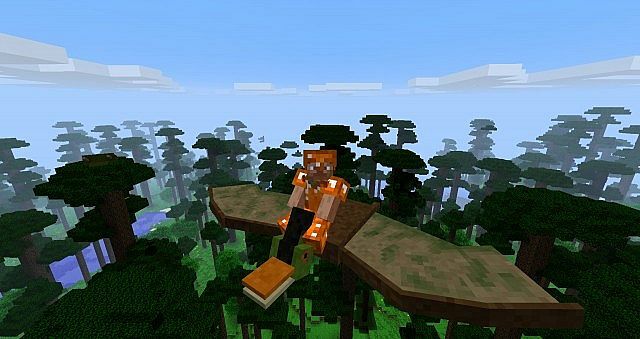 Hi thelarsinator can i have this mod inside of a modpack ön the technicolor launcher? 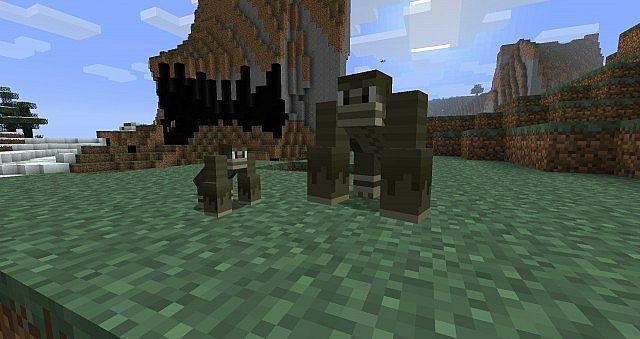 Larnisator, all the new mobs that you are planning to add into 1.8 are not going to be added in the 1.7.10 version? I mean...is this it for 1.7.0? I really like the modulated setup you've decided to go for. Great decision especailly when the mod becomes too big. 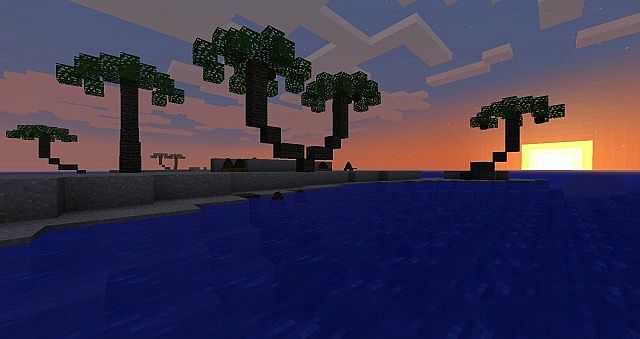 I know you are working on 1.8 a lot now days, but would you mind fixing it and releasing a 1.7.10 update, please? does the 1.8 version not have the full version? hey man, this mod id fantastic i absolutely adore it! I just have 1 question though.....how do you tame the triceratops? Sweet! It worked! I hear the mammoths are rideable as well? Must i tame one first? if so...how? Sorry for bothering, but I don’t truly know what is happening. I got this issue before. Well, the thing is…is not truly a crash, but a massive freezing. The game kind of stops…I don’t know what is happening. Nonetheless, does your mod have something to do with it? This mod is just, awesome! I love mods that totaly change the game, but not to much, just like this mod! I hope to see more of your work! Step 1: Make a new folder in your Minecraft Folder called Mods. Step 2:Find the mod/s you like and go to %appdata% in your file explorer or use run. Step 3: Put the mod/s in the mods folder. But you need forge installed. Thanks! I needed that! Now I can ennjoy this awesome mod! 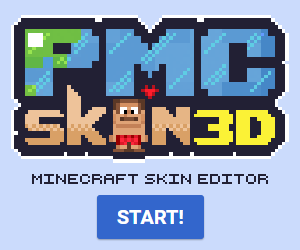 hope you can update it to 1.8 cuz i dont have 1.7 forge! when i finish downloading it what do i do? Look at DocterX11's comment... Below that 2 people have answered the same thing you are answering. The link to 3.2.0 on your website seems to go to the 3.1.2 file though.